While at the grocery store this afternoon I saw that avocados were on sale so picked one up. I decided that tonight I would made some guacamole the way that I like it. I also still had some sour cream that I needed to use so it was a good plan. I guess that I have been watching too many cooking shows as I decided that I needed to put together my mise en place. 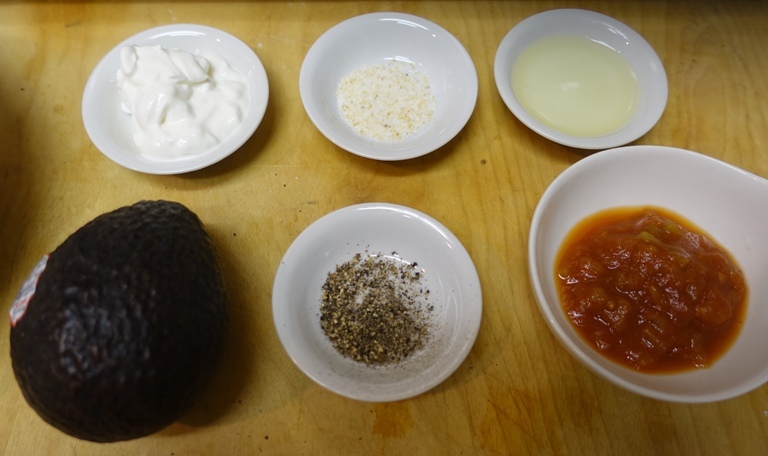 For my guacamole I need sour cream, garlic salt, olive oil, fresh ground pepper, salsa and an avocado. 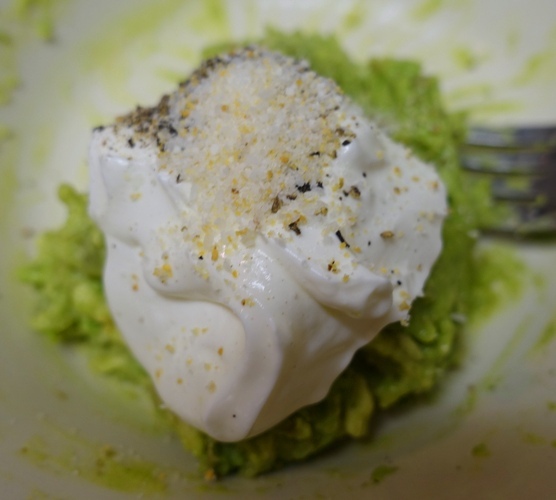 There is some debate as to whether guacamole should include sour cream, but there are some regions in Mexico that do. 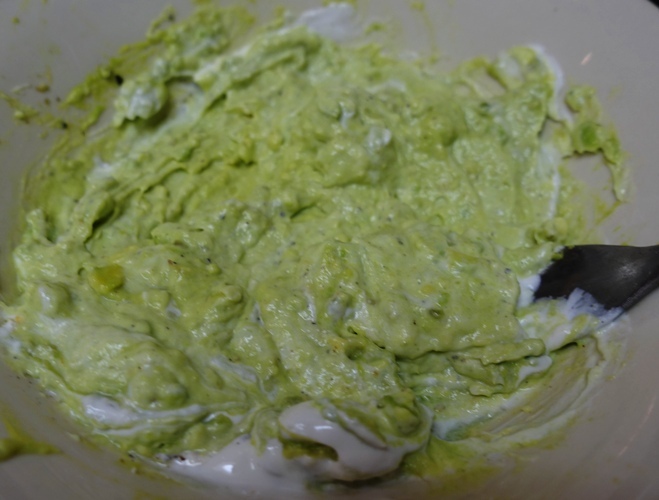 Plus, this is guacamole the way I like it and I include it. Plus, no fresh tomatoes for me. This is guacamole the way I like it. I started by mashing up the avocado with a fork. 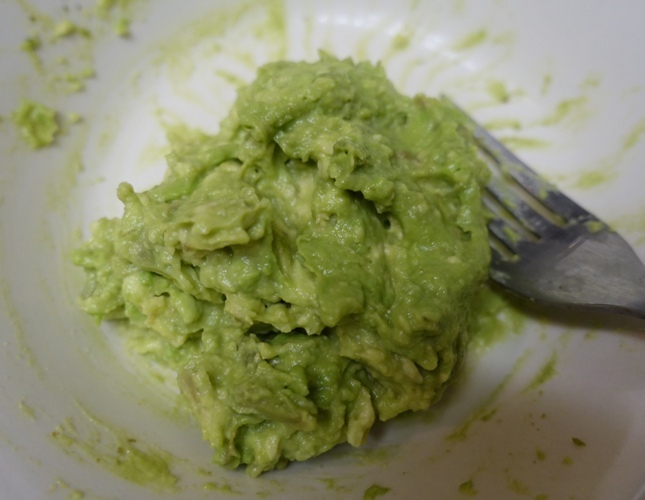 Since this is guacamole the way I like it, I mashed it up pretty good. Next I add the sour cream, garlic salt and pepper. After adding the olive oil and salsa I give it a last stir and then it is time for tasting. At this point I may add a bit more pepper or garlic salt. Also, if I am not going to use all of it in one sitting I may add some lemon juice. What do you like in your guacamole? 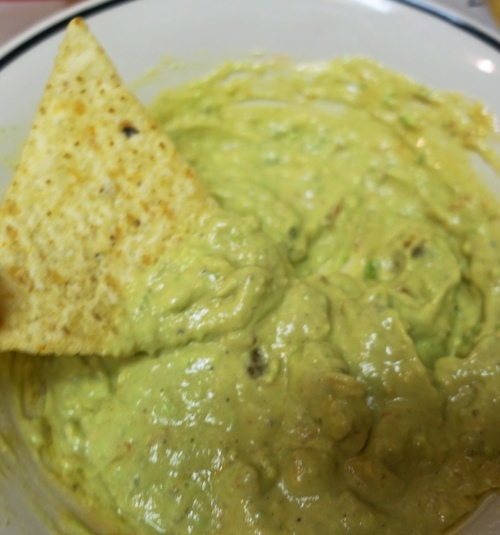 This entry was posted in Culture, Food and tagged avocado, dips, guacamole, Mexican Cuisine, Mexican Food, sour cream, tortilla chips. Bookmark the permalink.